Despite a year-long, U.S.-led bombing campaign, the Islamic State continues to rake in over 320 million Euros each year from oil -including income from the sale of gasoline to Syrian rebels. ISIS pulling in more revenue from oil than previously believed. 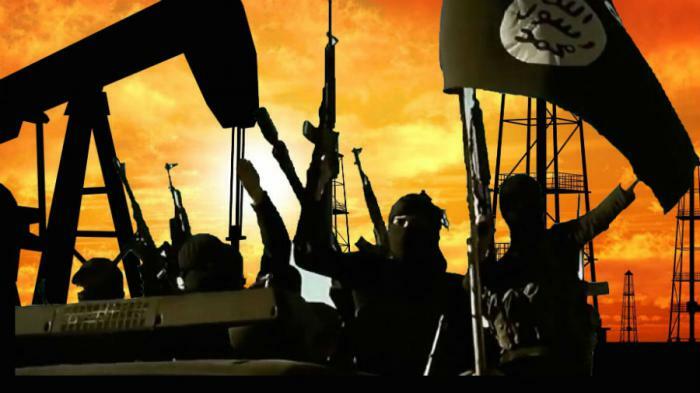 LOS ANGELES, CA (Catholic Online) - Oil workers in Syria and Iraq, as well as Western intelligence, estimates up to 40,000 barrels of gasoline each day within ISIS territory. The output generates an estimated revenue of 1 million Euros each day. The alarming income serves as a strong indication the year-long coalition air strikes targeting their refineries and pipelines have done little to slow the group's progress. ISIS' success has become so great that one Syrian rebel commander was forced to admit he had no other option but to purchase diesel from ISIS, despite their ongoing war. He told Financial Times, "It's a situation that makes you laugh and cry. But we have no other choice and we are a poor man's revolution. Is anyone else offering to give us fuel?" U.S.-led coalition officials claim the jihadis created hundreds of makeshift oil refinery facilities to adapt to the onslaught of their pipelines and larger refineries. A European senior official said, "We haven't been as disruptive as we may have hoped. They have been able to effect repairs to everything we have hit." Wester fighter jets have difficulty distinguishing between trucks moving oil as some are driven by non-ISIS militants. If fighter jets were to bomb a truck driven by a non-ISIS citizen, the European official admitted they would risk creating a "family of jihadis" and "radicalising the population." ISIS-owned oil refineries and pipelines (YouTube). In an effort to undercut ISIS, several options are currently under consideration. Two options involve a cheaper oil supply for rebels and possibly oversaturating the market with cheap crude oil. Earlier this year, Raqqi Is Being Slaughtered Silently (RIBSS) claimed they discovered how ISIS found ways to diversify their income streams. They claimed ISIS had secret deals with the Assad regime in which ISIS sold the government electricity and gas from dams under the group's control. Other ways of generating income includes the growing and selling of illegal drugs. Cannibis is reportedly growing on the outskirts of Raqqa to be sold in Turkey in what ISIS apparently allows despite strict sharia laws. RIBSS also reported flat-tax rates on "hygiene services," electricity, customs on imported and exported goods and telephone network usages. ISIS requires people to pay in cash and operates its own revenue agency called Al Hisba. "One of the most profitable trades for ISIS" is Internet cafes, RIBSS reported. Internet cafes in Raqqa boomed from 20 to 500 after the Islamic State came into power. It is clear ISIS continues to thrive, so the questions of what can be done and who will follow through remain to be answered.